Beautiful beddlington terrier pups, 2 girls and 4 boys, we have the mum and dad as much loved family pets. beddys are such friendy natured dogs. The pups will be seen by the vet to be checked, have their first injection, wormed, chipped ,flea treated and we will start toilet training . The pupies have been handled every day since they were born , by all family members , and are used to cuddles . such a lovely family pet . Kodi and Kiya. 2 Alaskan malamutes for sale. 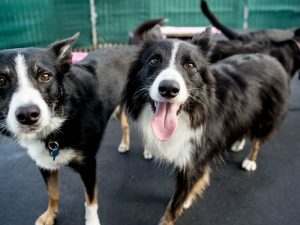 Selling my too dogs due to moving, and house is to small to have them. Dogs are not related. Kiya-female. 12 months old such a loving dog and heart broken having to rehome them. Kiya is fantastic with kids and other people she is not kc reg as her dad was but mum was not I have photos of all mum's and dad's of both dogs she is full malamute. She is Micro chipped had all jags to date and have all her vet records. Both dogs are NOT neutered/spayed so can be bread. Kodi-male 7 months, such a loving pup he has 5 generation kc paper work also chipped and had all jags. And vet records. Can talk about price if they are going to the best home as that's what we want for them. Please genuine interests only please want the best for these dogs as heart breaking having to rehome them. Photos of them as pups till now. If you want more pictures or any other information please contact thanks for looking. Mum and dad are both pure Siberian Huskies, the mum is agouti colour with brown eyes , the dad is wolf grey with blue eyes. Microchipped and up to date on vaccinations. Available to view and collect on viewing if he is the best friend your looking for. 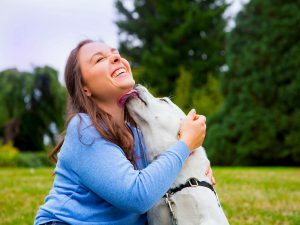 What Does It Mean When My Dog Licks Me? For us humans, licking typically happens whilst enjoying food. However, for dogs, licking is much more than just a way to taste. There’s more than one reason behind those licks you receive. Which Human Food Can Cats Eat? Can cats eat dog food? We’ve answered this question in a previous post. As well as the question about what foods are dangerous for cats. 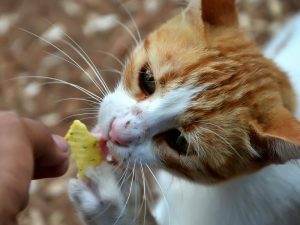 In this piece, we’re addressing the pressing matter of the human foods that feline pets can safely eat. Read on to find out! 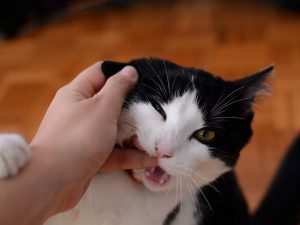 A cat giving love bites is one of the eyebrow-raising cat behaviours mentioned in our previous blog. It is a common cat behaviour that an article has collected mean kitty stories with cat owners sharing their experience and thoughts on the matter.